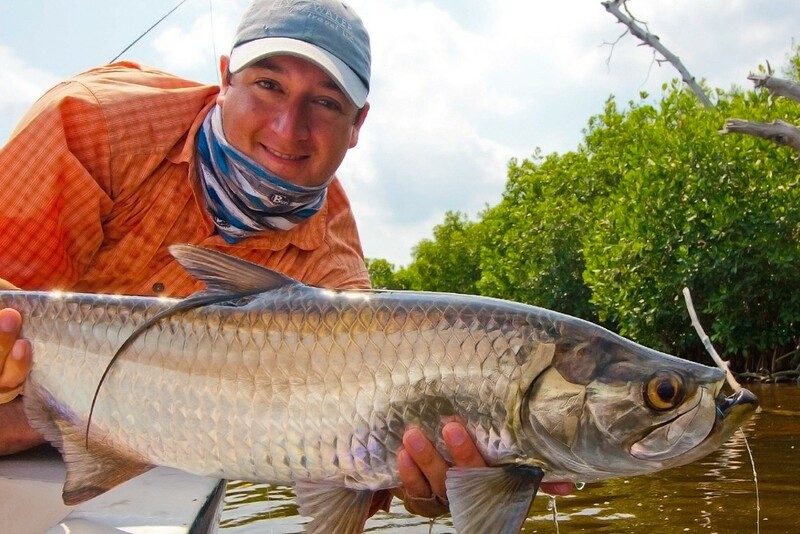 Not far from the bustling madness of Cancun on the northern shore of the Yucatan Peninsula is the charming town of San Felipe and an unparalleled opportunity to fly fish for juvenile tarpon in the 5 to 25+ pound class. 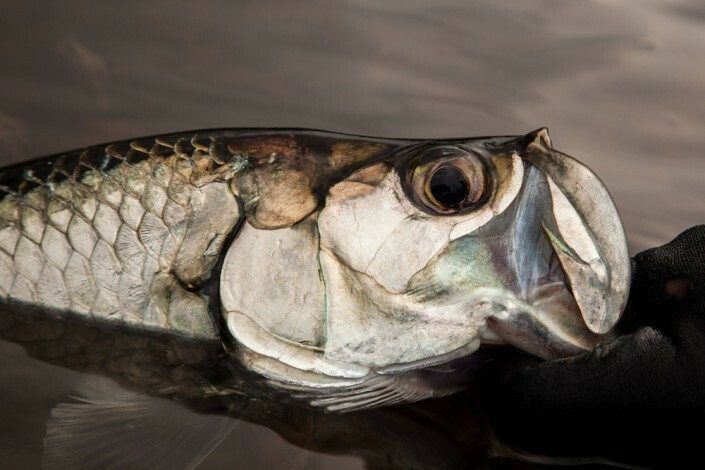 Recognized by the government for its biological wealth, this incredible fishery has been designated a marine preserve, thus protecting this tarpon “nursery” from commercial netting and fishing. Most of the fishing at Tarpon Cay Lodge occurs over very shallow flats that are covered by a dark colored, broad leafed turtle grass. 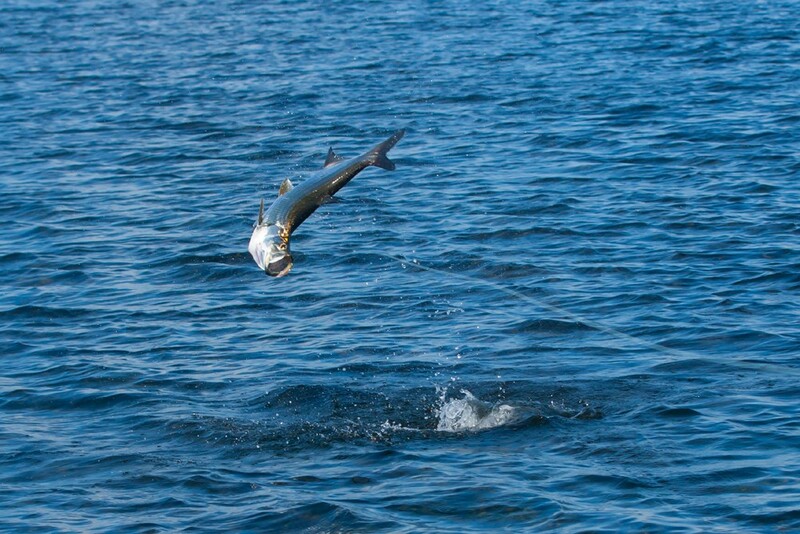 Roving schools of tarpon in the 5lb – 15lb class can number just a few or several hundred. The guides are excellent at scanning for rolling fish and would expertly pole the boat to intercept a school on the move and get us in position for a cast. At times we would anchor the boat and wait as football field sized shoals of fish would cruise to within casting range. 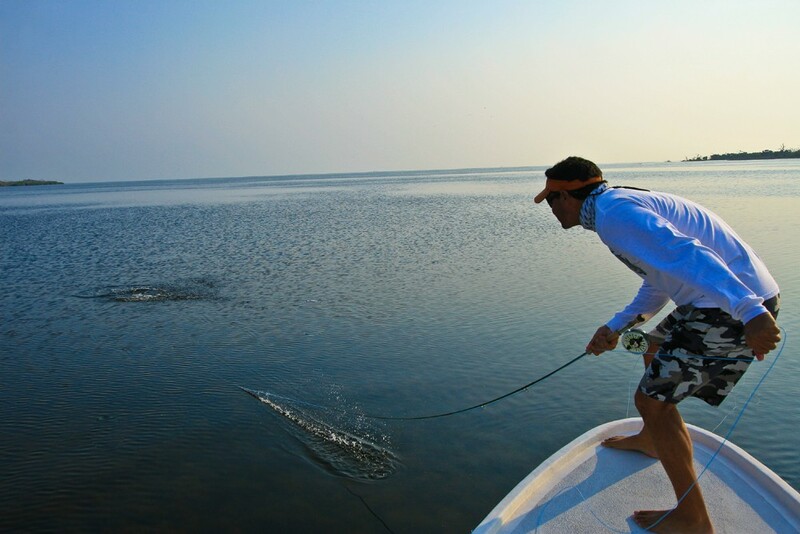 We’d launch the fly in the general direction and retrieve with a brisk strip that kept the fly off the bottom. After that, it’s just a game of watching your fly disappear into a big, black bucket of a mouth and holding on! 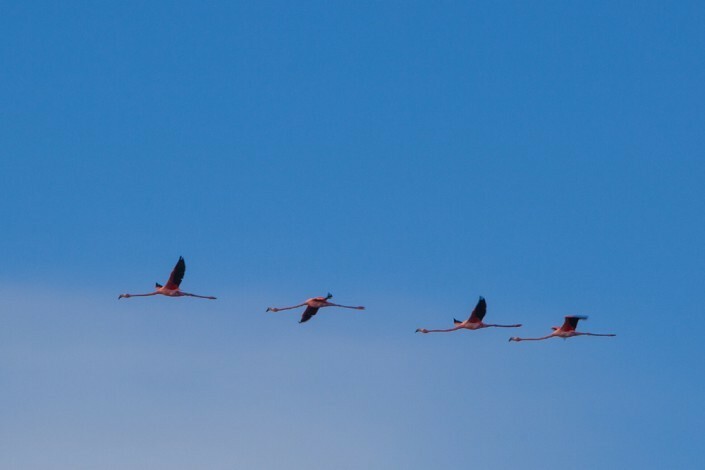 The resulting aerial display is breathtaking, as they tail-walk, leap, and launch themselves into the air with reckless abandon. Accommodations at Tarpon Cay are airy and bright with rooms featuring ocean views, ceiling fans, air conditioning and private baths. 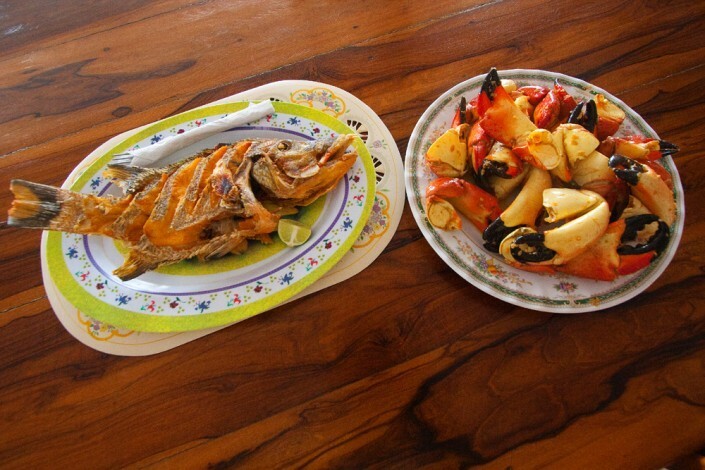 Delicious, hearty meals are served in the main lodge with most anglers taking full advantage of the rooftop decks in the evening hours. 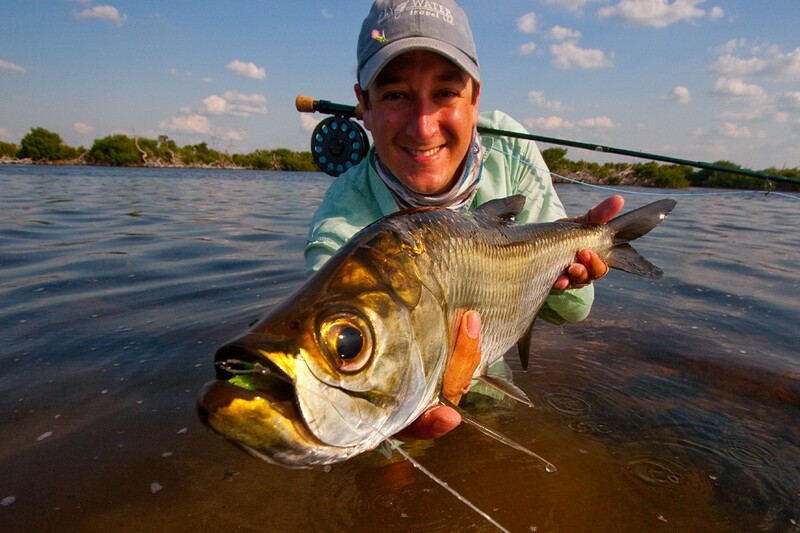 Tarpon Cay Lodge is truly the standard in world-class fly fishing for “baby” tarpon. Ranging in size from 5 to 25 pounds, these fish reside in environs of open water turtle grass flats and mangrove lined lagoons, creeks, and bays. This habitat is also home to Snook and Barracuda. Most significantly, this incredible fishery has been designated a marine preserve, thus protecting this Tarpon “nursery” from commercial netting and fishing. 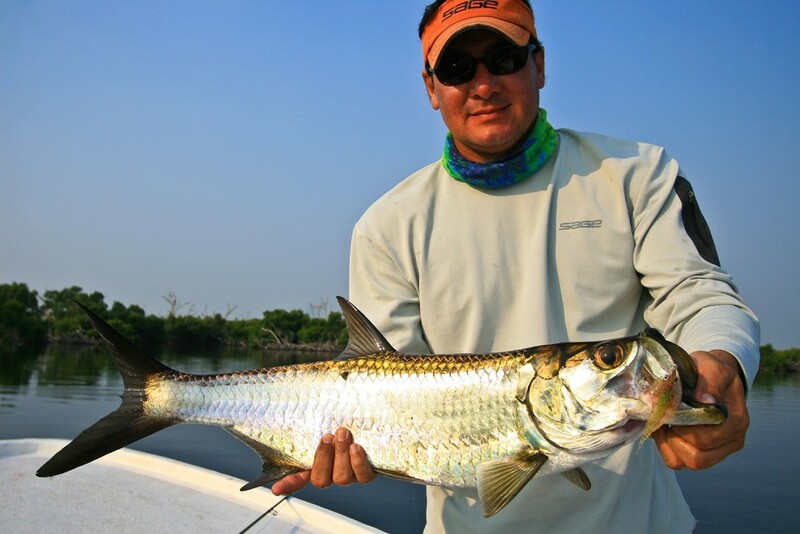 The hallmark of the fishery at Tarpon Cay Lodge is the sheer numbers of baby tarpon that inhabit the region. On a calm day, it is not uncommon to observe pods of Tarpon rolling and slashing bait on the flats – an awe-inspiring moment to say the least … don’t forget to cast. 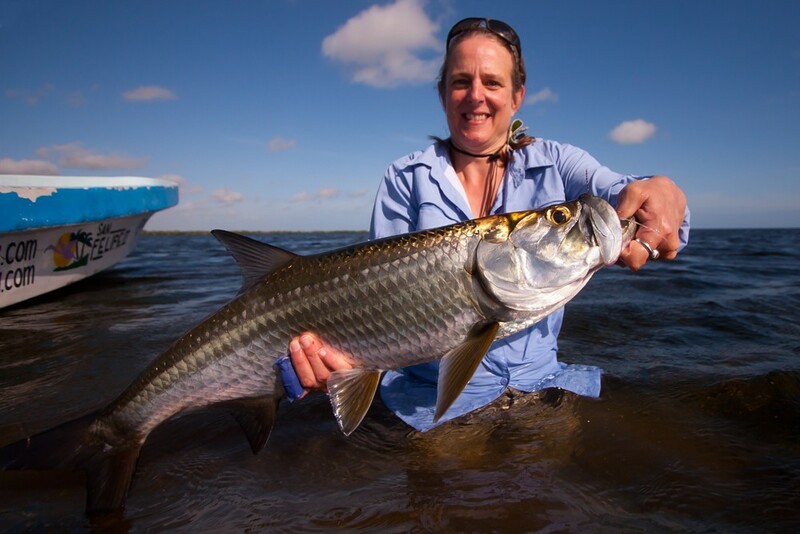 Another highlight is during the months of June thru August, migratory Tarpon (40 to 100+ pounds) inhabit the waters near Tarpon Cay Lodge. If weather conditions allow (low wind) anglers can pursue these “Silver Kings.” Whether you are sight-casting to rolling tarpon on the flats or working the mangroves with your top-water pattern, fly fishing for tarpon is a pure adrenaline rush. Tarpon Cay Lodge utilizes spacious 18 foot pangas with an extensive level casting deck. 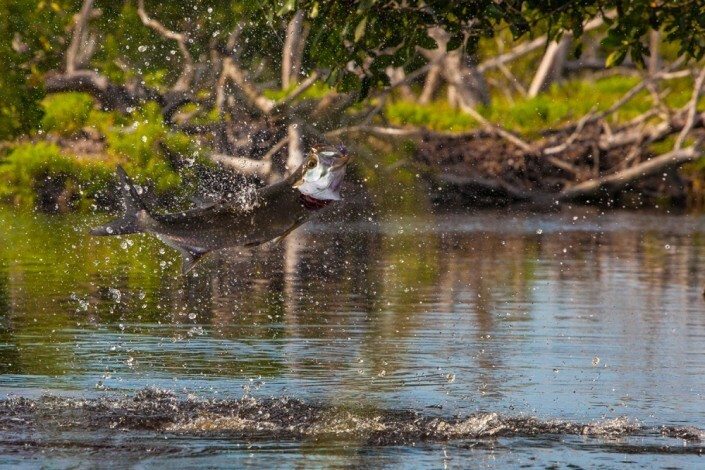 All fly fishing is conducted out of these stealthy, stable, and comfortable fishing platforms. 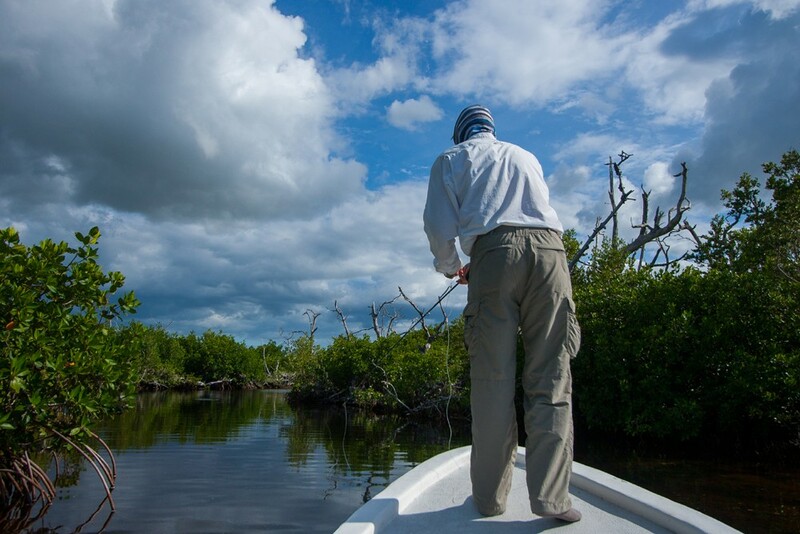 The nearest boundary of the fishery is very close to the lodge and, therefore, only requires a 15 – 25 minute boat ride to arrive at most of your Yucatan fly fishing areas. 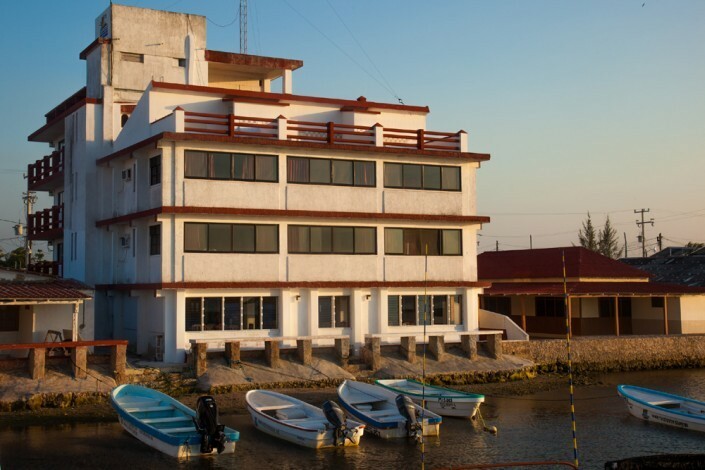 To get to Tarpon Cay Lodge you will need to make flight arrangements to Cancun International Airport (CUN), Mexico. Please schedule your flight to arrive Cancun no later than 4:00PM. 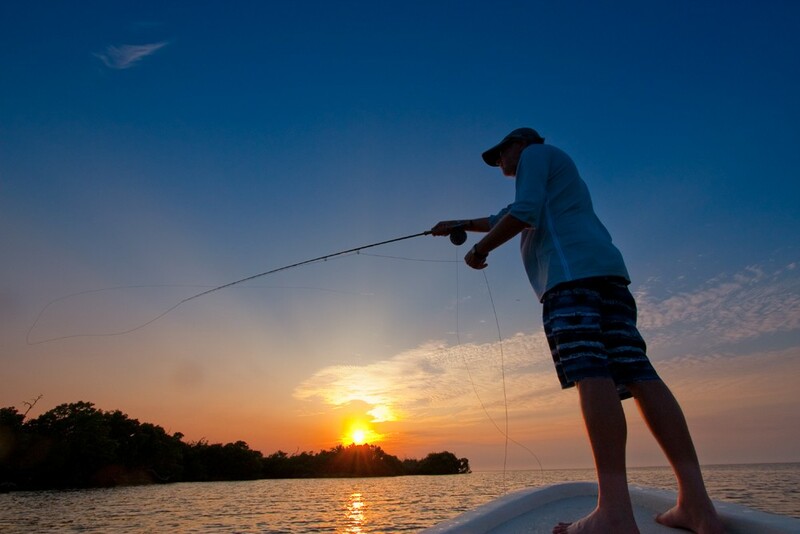 This will ensure a timely pick-up and ample time to drive approximately 3.5 hours to Tarpon Cay Lodge. After clearing Customs and Immigration at Cancun International Airport, a Tarpon Cay Lodge representative will greet you in front of the Berryhill Restaurant to the left, after you exit the terminal outside. On departure day, after an early breakfast you will be driven approximately 3.5 hours back to Cancun for your flight home. Please do not book your flight to depart before 1:00PM. 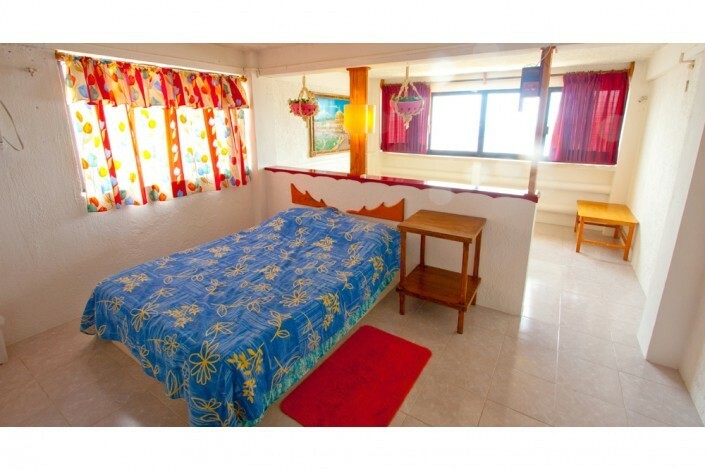 A 50% deposit is due within 14 days of booking to secure a reservation. Final Payment is due 60 days prior to scheduled arrival date.